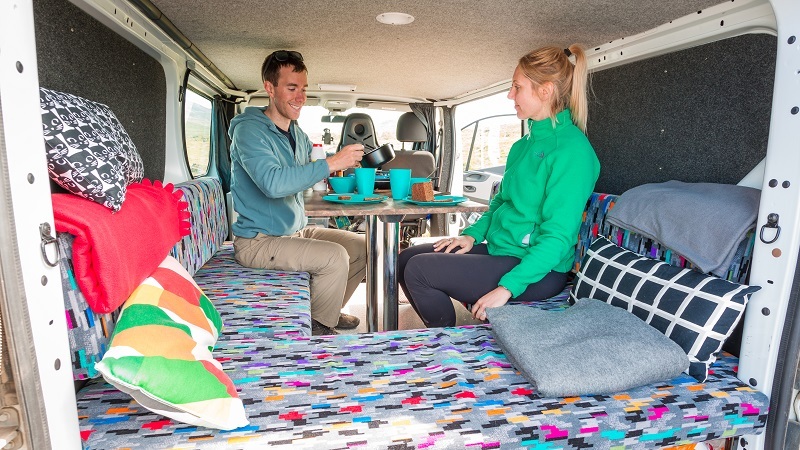 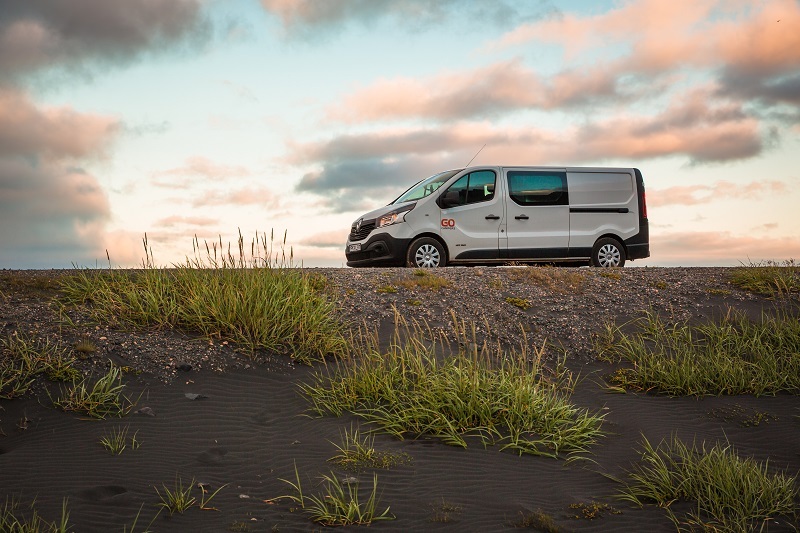 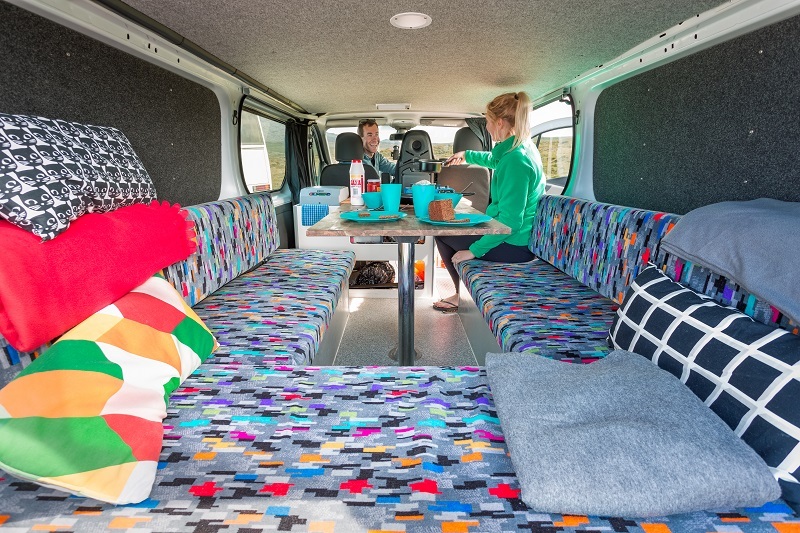 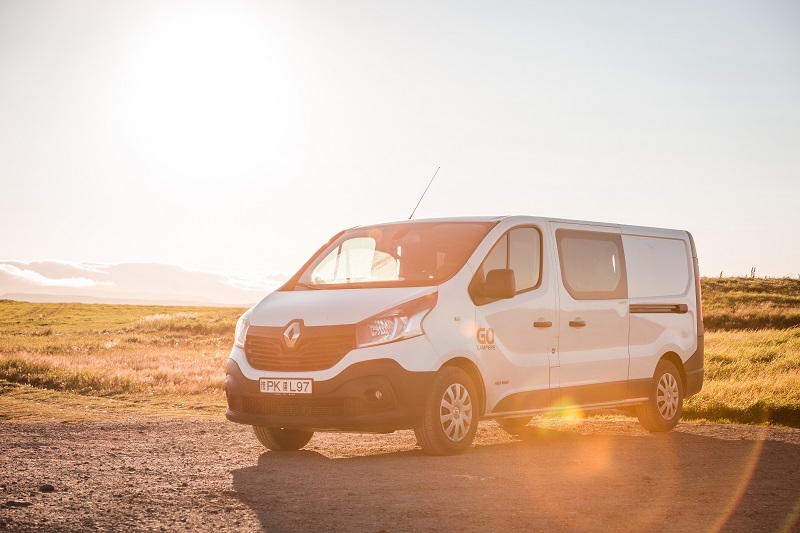 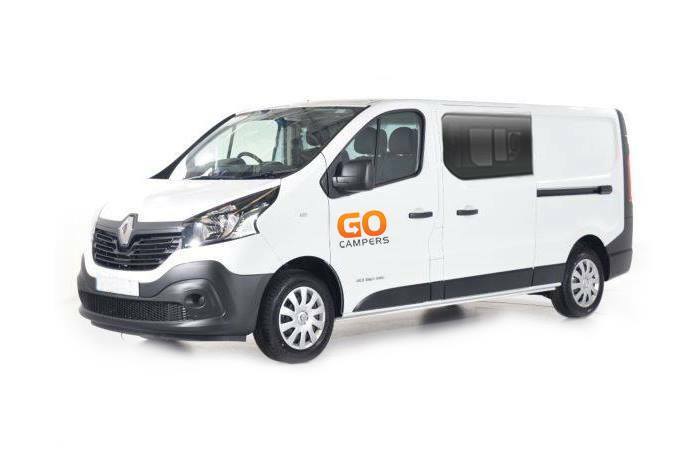 The Go Lite Camper van is a more luxurious and spacious way to travel throughout Iceland. 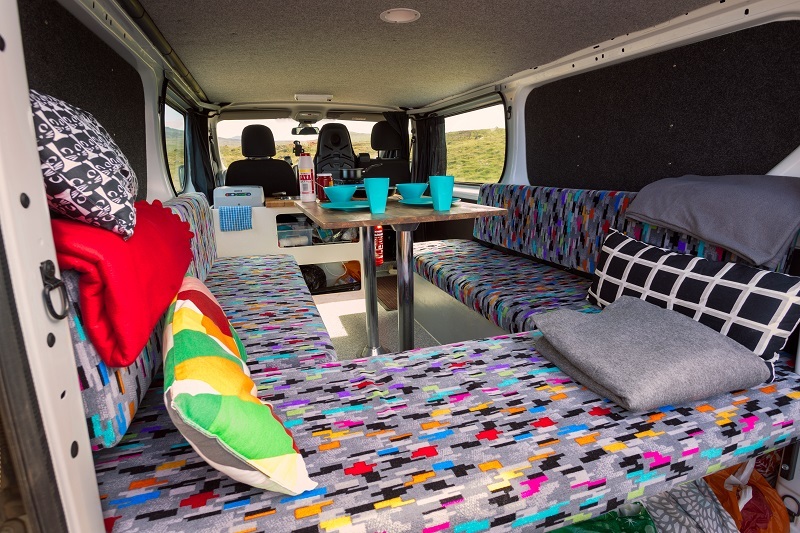 It has sleeping room for 2-3 people. 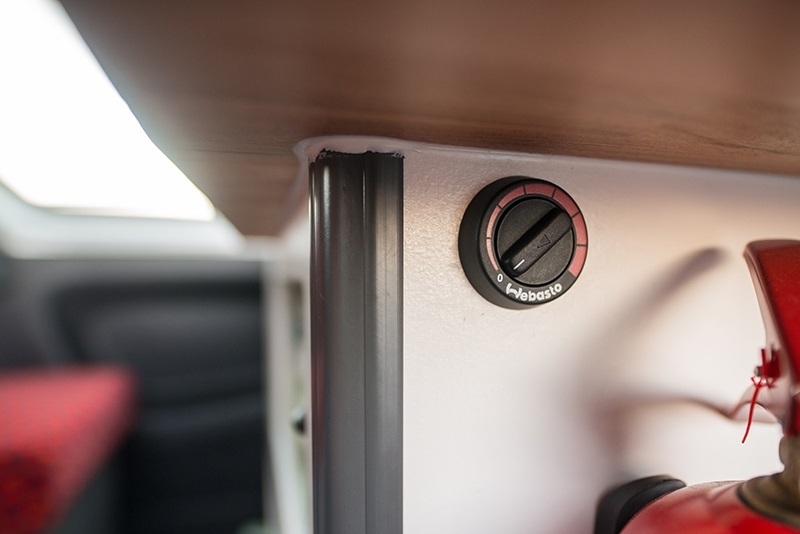 The Webasto heating system will keep the camper nice and warm during those chilly Icelandic nights, and the table and chairs setup in the back make it possible to enjoy a cozy meal if it‘s raining outside.